One of our QuickBooks FileMaker plug-ins may be just right for you! For more than 10 years, we’ve been helping clients achieve more efficient, accurate and streamlined solutions with FileMaker and QuickBooks integrations. Why Integrate FileMaker and QuickBooks? Learn how to integrate FileMaker and QuickBooks Desktop using the FM Books Connector plug-in with Productive Computing University’s new course Connect FileMaker to QuickBooks Desktop This six-hour training course is intended for intermediate to advanced FileMaker developers and will step through the process of performing a basic FileMaker QuickBooks integration. 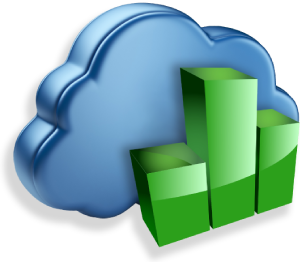 Host your QuickBooks Desktop file in the cloud with our QuickBooks Hosting plans. Our plans allow you to host your QuickBooks file alongside your FileMaker file - enabling you to integrate FileMaker Pro and QuickBooks Desktop with FM Books Connector in a cloud environment. Learn to master the skills necessary to integrate FileMaker and QuickBooks Online using the FM Books Connector Online plug-in with Productive Computing University’s new course Connect FileMaker to QuickBooks Online. This five and a half hour training course covers a wide range of topics, including scripts to authenticate to QBO, the differences between scripting for Windows, Mac, and Server; how to create a QuickBooks Online sandbox account for development, and more.